Published By Milord & Associates, PC. UPDATE 1/27/2010: Upper Deck settles Yu Gi Oh! counterfeiting case. Details here. Los Angeles, CA – Yu Gi Oh! 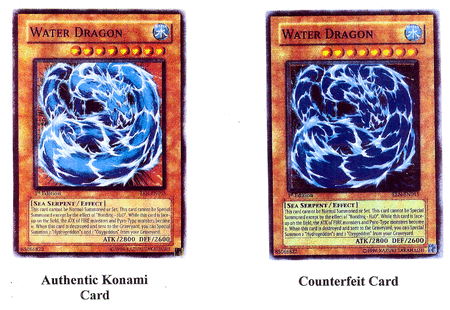 owner Konami sued Upper Deck, its former distributor, for selling counterfeit trading cards. 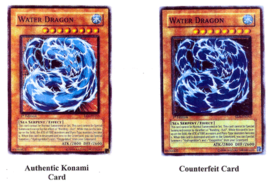 (Details here) After hearing both parties’ motions for summary judgment, the Court found that Konami had “presented evidence to establish every element of liability [for] counterfeit activity and violation of federal unfair competition law, pursuant to the Lanham Act, on the part of the [Upper Deck] Defendants.” (Order available here) The Court also found that Upper Deck was liable for common law trademark infringement and California unfair competition under Business & Professions Code § 17200. On the copyright infringement claim, the Court partially found that Upper Deck infringed the “Reverse Art” copyright, which refers to the text that appears on the back of the trading cards. The statement of undisputed facts is available here. In another order, available here, the Court ruled in Konami’s favor because the “reproduction and/or manufacture of unauthentic cards does not fall within the ‘Approval’ clause of the 2006 Letter of Intent.” Conversely, the Court denied Upper Deck’s motion to limit its liability. In yet more bad news for Upper Deck, in another order that’s available here, the Court found for Konami on Upper Deck’s counterclaims for breach of contract and slander per se. Copyright © 2016 – 2019, Milord & Associates, PC.